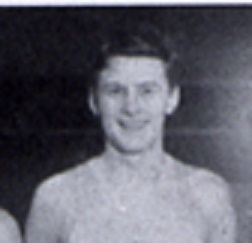 Joe Fabel was a three-sport star at East Pittsburgh High School and then attended the University of Pittsburgh for one year. Fabel was a longtime fixture in Eastern Pennsylvania independent pro basketball. After World War II service as a bomber pilot, Fabel played one season in the Basketball Association of America for the Pittsburgh Ironmen. Joseph Fabel Born: Sep 4, 1913 Died: Jan 31, 1967 Hometown: Pittsburgh, Pa.